Like what you see on our site? We've been here for 20+ years and would like to make 100 more! 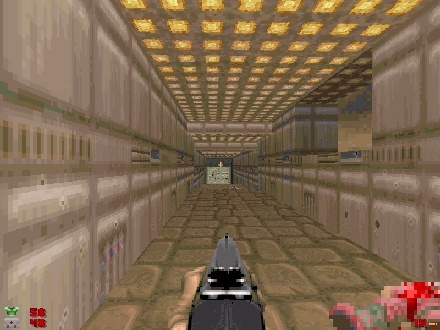 This is a 32 level replacement for Doom2 which was created using SLIGE. 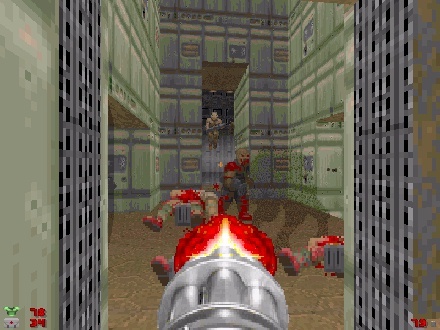 The version I have here was redone by an anonymous Doom fan who made many improvements to the code. Here is the Slige Home Page. In addition to that - I used the command line parameters much more extensively with this replacement to create larger and more difficult wads than what I did with November wad previously. 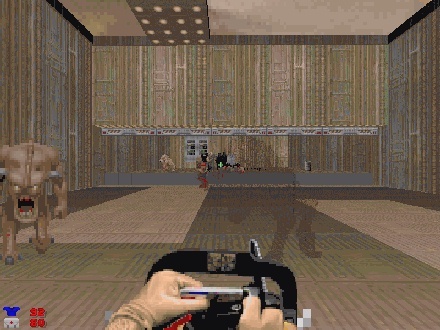 It took me, literally, hours, to finish the first level alone. Game play time was in the 1 hour range and it was difficult enough on UV to require saving my spot often. What is slige you ask? 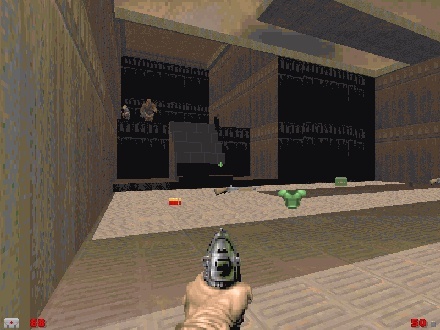 For those who have been around awhile you know, for those who don't it is a program that creates random generated levels for Doom and Doom2 and does a pretty damn good job too. They aren't of the same quality that a really good level designer such as (cough, cough) myself will create but they come out decent and playable and actually fun. The whole process takes about 5 minutes. Can you imagine that? Anyway - I was testing the new program and came up with this megawad which is actually very challenging, non-linear in many ways and lots better than some of the stuff that has been sent to me to be reviewed. 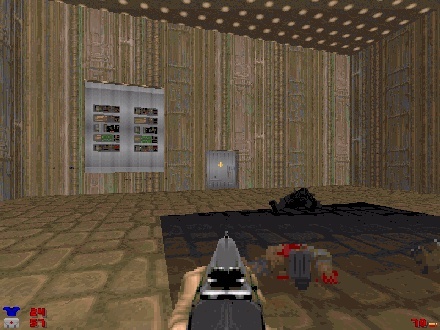 It is actually very difficult at points, especially in the first level as you are constantly needing to resort to fists to save ammo and are always low on health - at least on UV. 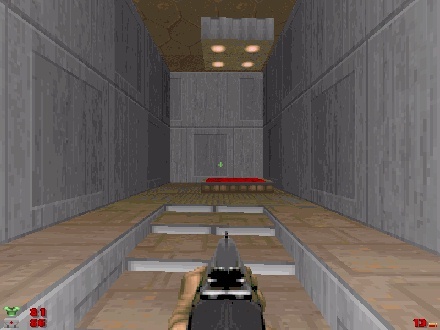 There are lots of little secret rooms with ammo and stuff and as you can see from the pics - not a bad way to throw together a quicky for practice play. So what can you expect? - Expect some challenging gameplay and what turns out to be very large and complex levels. I created the levels to have around 100 rooms each - some more - some less. 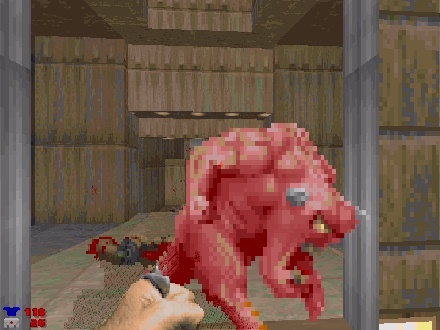 The lighting is actually very well done by the program, much better than many people do and expect surprises since it designs doors to open up behind the player and such. 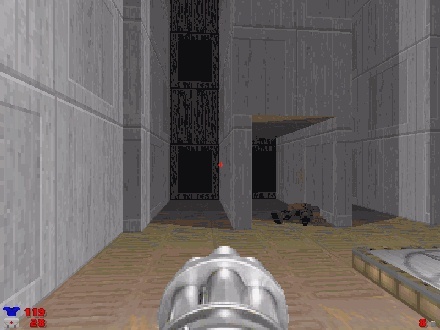 Also - lots of secret rooms which if you are paying attention aren't so difficult to pick out. What not to expect- Don't expect lots of architecture. This is after all generated by a program and the program has no imagination. It does a decent job of texture alignment but is not perfect - same with floor and ceiling flats. Most of them look ok but some are a little out of wack. Why do I recommend this download? Because its FUN! I have enjoyed playing this so much its not even funny, despite the drawbacks of the program. 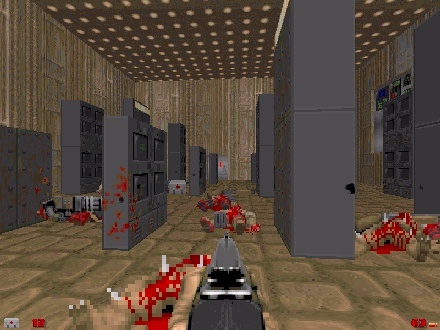 You will notice that most if not all the levels first rooms have a certain ceiling style - that is what distinguishes them as slige wads so people don't make levels with slige and then submit them to the ftp sites.